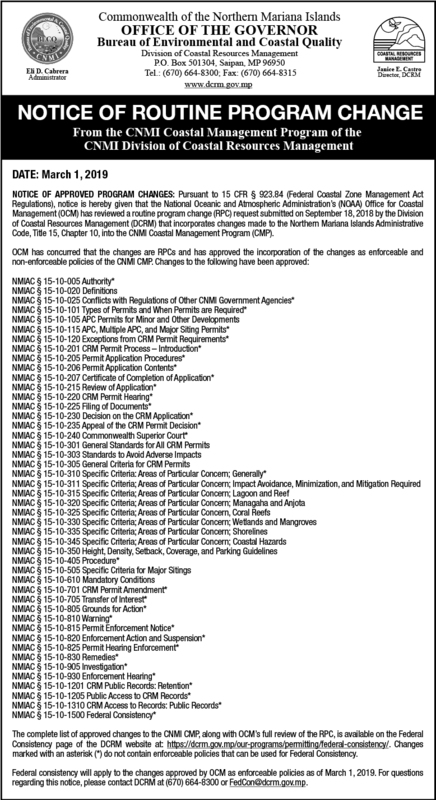 Federal consistency refers to the requirement in Section 307 of the Coastal Zone Management Act (CZMA) that certain specified federal actions be consistent with approved state coastal management programs. 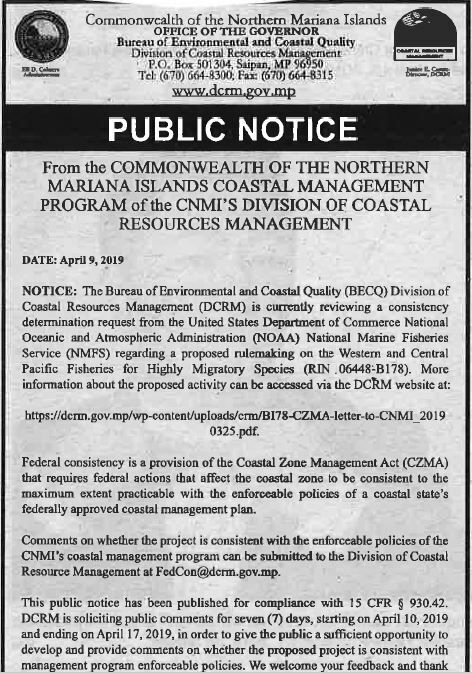 Under the federal Coastal Zone Management Act of 1972, as amended, all Federal agencies are required to conduct their planning, management, development, and regulatory activities in a manner consistent with federally-approved state and territorial coastal zone management programs. The Division of Coastal Resources Management reviews federal agency activities for compliance with the CNMI’s coastal management program. If you have any questions about DCRM’s federal consistency process, please contact Richard Salas at FedCon@dcrm.gov.mp. 4/12/2019: Public Notice for Proposed Purchase and Installation of Transitional Homes. 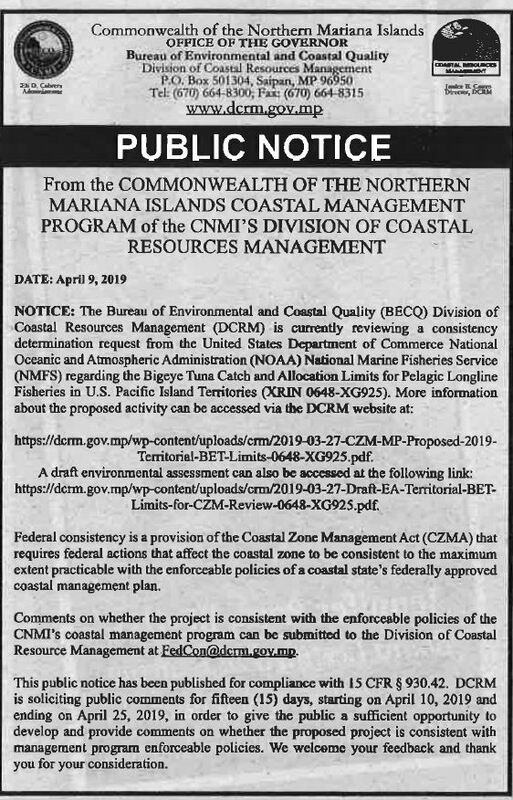 4/10/2019: Public Notice for Proposed Rulemaking on Western and Central Pacific Fisheries for Highly Migratory Species. NOAA-NMFS. 4/10/2019: Public Notice for Bigeye Tuna Catch Limits and Allocation Catch Limits for Pelagic Longline Fisheries in US Pacific Island Territories. A draft environmental assessment is also available. NOAA-NMFS.